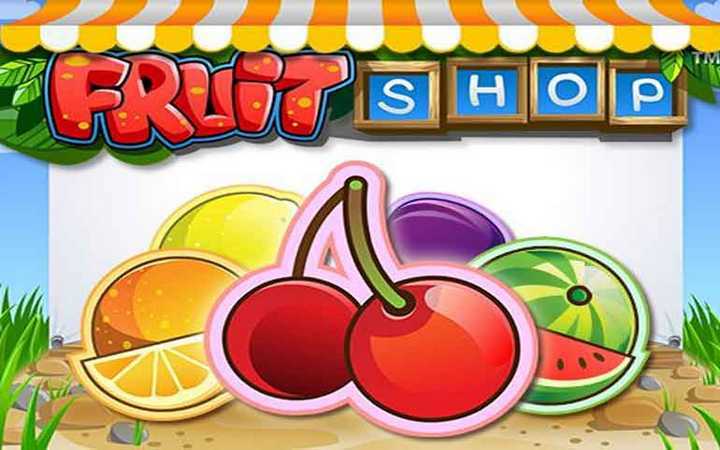 Fruit Shop slots game is an online casino video slot that has five reels, fifteen fixed paylines and three rows. Established by NetEnt gaming software provider, it has similarities with the classic coin operated fruit machine games. The theme revolves around a fruit shop. It oozes a fruity aura with a multi-coloured game screen interface. In addition, there is a wild symbol denoted by the Fruit Shop badge. It serves two functions of substituting all symbols that hinder a winning combination. Also, the wild supplies a multiplier bonus of x2 on winnings on a payline it appears on. Free spins are the game’s main feature. Instead of the usual bonuses awarded in other slots, you are awarded extra spins and payouts for symbol combos. The paytable below breaks down the free spins bonus per combination, and the value of each combination as well. From the table, the cherries are clearly the best in value whereas the ten is the least rewarding. The special free spins bonus round can last to infinity depending on your luck. This is because during in this round, extra spins can be retriggered at the same rate displayed in the table. Apart from free demos, gambling occurs when one chooses to play Fruit Shop casino online. All you have to do is deposit money to a casino you have registered for. The bet limit ranges from fifteen to one hundred and fifty in coins which equate to 0.15 to 150 in real cash. After regulating you bet, click spin or set auto play, which rotates the reels in continuous cycles. At 96.7%, the payout range is fair to all players. Read through the terms and conditions of the casino offering the game because settings and rules may shift a bit. Try a hand in the free online Fruit Shop to be well acquainted with the gameplay. Clicking on the information tab labeled as (?) provides all the trademark game rules for this particular slot. For example, only the highest win per bet line is credited to you. This means that you may have matched four watermelons and five cherries on separate paylines. You, however, receive the payout for the cherries as they surpass the amount mustered by the watermelons. Also, note that a winning combo must begin from left to right only. Truly, the game is full of color and rewards with its Fruit Shop slots free spin bonuses. Accompanied by smooth gameplay and a simple user interface, the high payout range is a fact difficult to ignore. The developers really tried to make the usual fruit game a new, fresh and very adventurous.Playing Fruit Shop I really enjoy not only the gameplay but also from the fact that I’m staying with a decent amount of money in the end! Of course u can loose all your money if u can’t stop when it necessary, it’s like in every gambling, but here u can also use a free spins before using real money! The support team always can help with any questions and give u new and actual information, so u can really relax and enjoy!